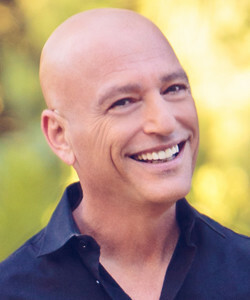 PALM BEACH, Fla. – LIFE’s 22nd annual “Lady in Red” gala, “Masquerade Risqué,” will be held Dec. 5, 2015, at the Mar-a-Lago Club and feature stand-up comedian Howie Mandel. Lois Pope, Tova Leidesdorf, Dr. Robert Mackler, Jan and Chip Malley and Patrick Park are chairing the gala. Co-chairs are Suzi and Rick Goldsmith, Janet and Mark Levy and Bjaye and Frank Pilotte. Each ticket to the gala will also serve as entry into a drawing for a Romero Britto-designed and painted Mini Cooper convertible. A silent and live auction will also be held, where guests can win, among other items, tickets to Super Bowl 50. Proceeds from the evening will benefit LIFE’s partnership with American Humane Association (AHA), which includes a program to protect abused and neglected children and animals. Programs that will be served are in Palm Beach County, including a pet mobile for adoptions and rescue service during emergencies. Corporate sponsors include Bo’s Entertainment Inc., NetJets, Tiffany & Co., and Wells Fargo Advisors. Get the latest Palm Beach social happenings e-mailed to you.